Strap a water gun to your chest and put on some synth percussion from the ‘80s. It’s time to Die Hard — at beer pong, that is. The rules say that if you can topple over your opponent’s cup, it’s a point in your favour. Nice. This shot is about getting as close as you possibly can to gold but pulling away at the last possible moment. It’s the perfect way to seem like you’re really trying to win, while losing enough to get to drink a LOT of beer. Emit a moan for effect. Another classic teasing shot. 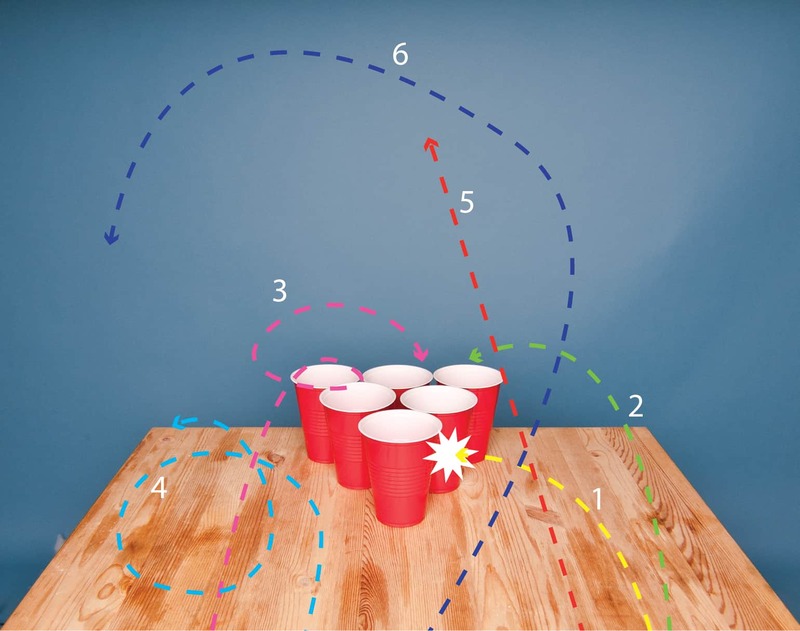 In “normal” beer pong, this shot skims the inside rim of the cup and drops into the centre. The “losing” variant involves getting the ball to circle the rim of the cup and fly outwards instead. Channel your inner ice dancer for this acrobatically-demanding shot. It’s all in a flick of the wrist, which will send the ball spinning in a hot mess of cool beer. Wear a skintight body suit for superior flexibility. Send your shot upwards to infinity, and beyond! Launch the ball straight out there with all your strength — the aim is to get it up into orbit. It’s one small throw for you, one giant leap for beery drunkenness. For the science fiction aficionado, this shot involves whipping the ball sideways into oblivion or, you know, the wall. Not only will you confuse your opponent, you’ll also launch the game into another realm of drunken awesomeness.